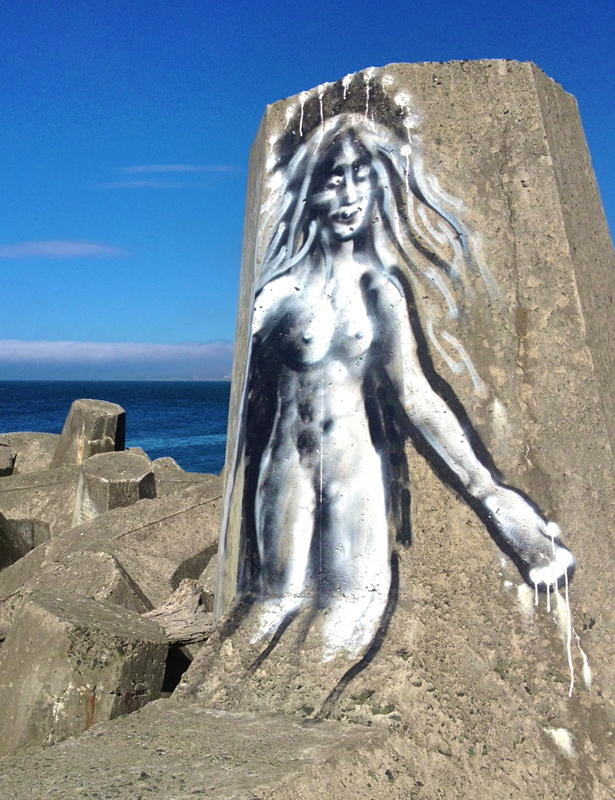 It would appear we have a North Jetty Banksy on our hands. Your Lost Coast Outpost was forced off laptop and into the great outdoors by Labor Day weekend’s sickening beauty and decided to take a stroll out on one of Humboldt Bay’s two long concrete fingers. It was there we were flabbergasted to discover that some “creative-type” had taken it upon themselves to add a bit o’ flair to a handful of once perfectly grey dolos — those giant toy jack-shaped blocks that line the harbor’s entrance. Share in our outrage by viewing the accompanying images. And if anyone knows who is responsible for de-graying the dolos, please cross your arms, tap your foot and look stern in close proximity to them.